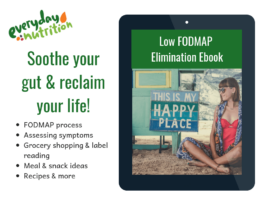 ​The low FODMAP diet is all about learning how to make easy substitutions to turn old family favorites into delicious low FODMAP meals. 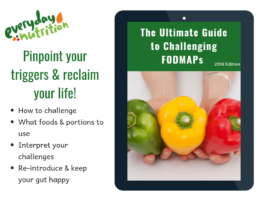 These low FODMAP swaps are the first steps to creating a low FODMAP diet you love. 1. Onion can be replaced with the green tips of spring onions, green leek leaves, fresh chives or a pinch of asafetida powder. When using spring onion tips or chives these are best added at the end of cooking to help give you a stronger onion flavor. My tip is to use 1 cup of diced green leek leaves per medium onion. 3. Bread isn’t off the table. 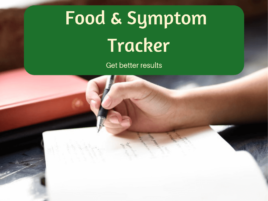 Instead swap it for a wheat or spelt sourdough loaf or check your smartphone app for a certified low FODMAP bread near you. When choosing gluten free bread as your replacement watch out for soy flour, coconut flour, lupin flour, amaranth flour, inulin, apple or pear juice. 4. 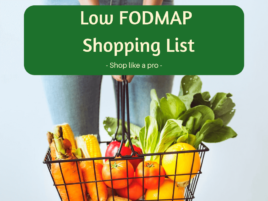 Milk is the easiest high FODMAP food to replace. Simply swap it for lactose free milk, which is the most similar in terms of taste and nutritional value. Otherwise choose a low FODMAP milk alternative like almond milk, rice milk, hemp milk or soy milk (made from soy protein). 5. Mushrooms can be high FODMAP so it’s best to replace them with tinned champignon mushrooms (drain and rinse them well before using) or oyster mushrooms. Alternatively try replacing mushrooms with roasted eggplant instead. 6. Apple is often used in baking and it’s a high FODMAP ingredient. Swap it out for mashed banana, pineapple or even pureed grapes. ​7. Honey is delicious but it isn’t the best sweetener to use while on the low FODMAP diet. Try replacing it with pure maple syrup or brown sugar instead.